A teenage boy has been stabbed to death in west London. 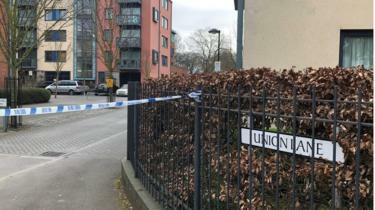 He was found wounded outside a block of flats in Union Lane, Isleworth, following reports of a fight, at about 22:35 GMT on Friday. Police officers gave first aid to the victim, who is thought to be 17, but he died at the scene. 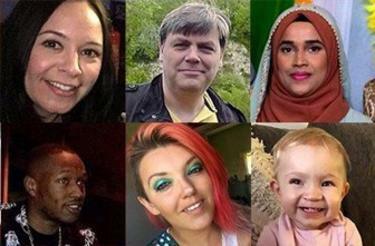 A murder investigation has been started and the Metropolitan Police said a post-mortem test and formal identification would be arranged. Officers are informing the boy’s next of kin, the force said. A couple who called the police said there was “blood everywhere”. The 35-year-old woman, who did not want to be identified, said the teenager was still alive when she saw him with her husband. “There was someone else there trying to help by checking his pulse. He was responding but he couldn’t speak,” she said. A second eyewitness said the teenager was assaulted by two people, one wearing a mask. “It was one guy who was massive with a mask on his face and another small guy,” the eyewitness said. Halima Abubaker, 22, said she saw two males “running for their lives” around the time of the incident. There have been 28 homicides in London this year.